Last week, we wrote about the dilapidated state of the Metro Rail Transit-Line 3 (MRT-3) and the never-ending misery of commuters, despite the P57-million monthly maintenance budget and billions of pesos the railway system receives from the national government. A few days after our column, Malacanang was once again heard blaming the administration of former President Gloria Macapagal-Arroyo as the culprit for the worsening problem of the MRT. Communications Secretary Herminio Coloma made a fumble in good judgment when he tried to defend President Aquino from Sen. JV Ejercito’s accusation that the national leadership is weak because it is unable to resolve MRT’s problems. Coloma pointed to MRT fares kept artificially low under the GMA administration as the reason for the overcrowding of passengers, leading to the need for excessive maintenance and repair work on MRT coaches and facilities. He conveniently forgets the horrendous traffic along Edsa that Metro Manila Development Authority Chairman Francis Tolentino apparently has been inutile to solve. The traffic in EDSA, Mr. Coloma, is the main reason people prefer to take the MRT rather than the car or bus. We can only commiserate with Coloma, a former student activist in his younger years who once led militants in protesting government abuses. He does not have any choice but to defend his “boss-chief,” even if his arguments border on the inane. To be fair, we see Coloma’s point that the current problems were brought about by policy questions like fare structure, increase in ridership and maintenance that started during the term of Mrs. Arroyo. But we wish to remind the good secretary that it’s already 2015. The Aquino administration is already on its 5th year and has only one more year to go. Had it been 2011, we would have been more tolerant of the government’s failures. Aquino’s appointees in the Department of Transportation and Communications and in the MRT have been in office for almost five years, but what have they done other than pocket generous allowances and per diems? A directorship on the MRT board is rumored to be one of the much sought-after positions in government because of the lavish perks. Ask any student in the Asian Institute of Management, and he would tell you the first thing that should have been done by President Aquino’s appointees was to conduct a management audit—from finances to operations—identify the problem areas and propose solutions for immediate implementation. Case in point: the replacement of rails now being done on weekends. It’s taking a lot of time because the rails have not yet arrived from the supplier. Had MRT ordered the rails and coaches five years ago, knowing the old ones would no longer be serviceable soon, then these parts would already have been here. Same is true for the fare matrix. We knew all along that MRT fares were being subsidized by government. Why didn’t the DOTC implement a policy change in 2011? It would have faced stiff opposition from the cause-oriented groups, true, but we believe our people would have understood and gotten around to accepting it. On the matter of public accountability, whatever happened to the case of former MRT General Manager Al Vitangcol, who was directly accused of extortion by no less than the Czech ambassador to the Philippines? Ambassador Josef Rychtar had accused Vitangcol of attempting to extort $30 million from the Czech train manufacturer Inekon Group in exchange for a P3.77-billion contract to expand the capacity of the MRT. 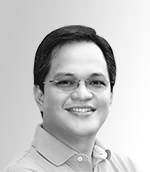 This case involving the alleged protege of former DOTC Secretary and now Interior and Local Government Secretary Mar Roxas should not be swept under the rug with the resignation of Vitangcol. The Aquino administration is now in the homestretch. However, it appears our officials are still in the finger-pointing mode. It’s high time it took full responsibility for its actions.